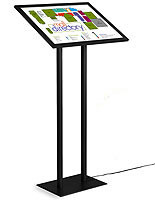 Looking for a great way to display common size posters? 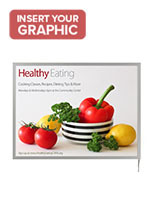 These 18x24 snap frames are ideal for a number of industries with their simple design. 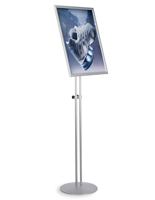 This type of fixture makes it easy to change prints without disassembling or taking down from the wall. 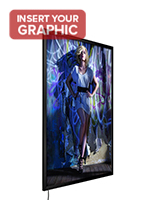 As a result, the 18x24 snap frames are useful for business like real estate agencies for showing new homes, retail stores for marketing new merchandise and restaurants for displaying new specials. 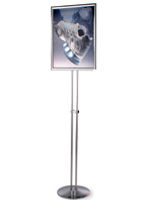 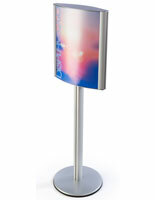 Change and update advertisements quickly with these sleek fixtures. 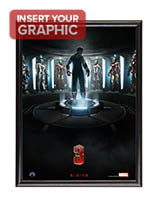 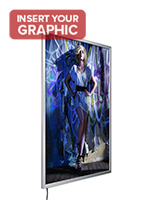 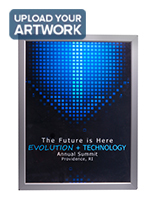 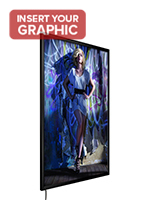 To use these 18x24 snap frames, simply lift the edges, move the protective lens and place or replace the graphics. 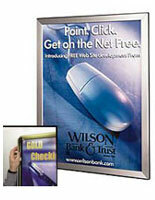 The included sheet of clear plastic prevents moisture and fingerprints from damaging prints. 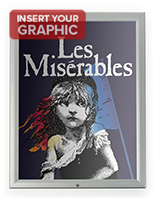 Additionally, this lens has a non-glare design to keep images highly visible, even in direct sunlight. 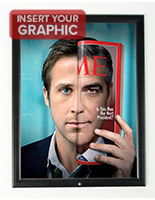 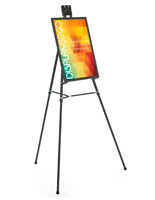 The snap frames’ folding edges give them a small profile to make your poster the main attraction. 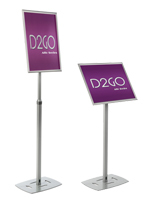 Each display is made of strong metal and features a neutral black or silver finish that will match any store or office environment. 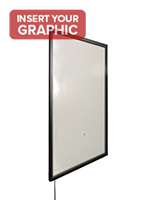 Offered in wall mounting, floor standing or ceiling hanging setups, the snap frames can be placed anywhere. 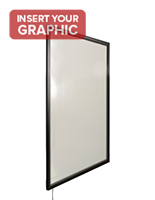 This type of frame is shipped same day and benefits from wholesale pricing, making them a great choice for outfitting any business. 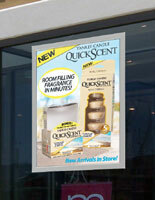 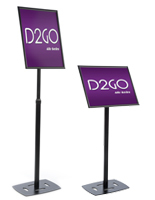 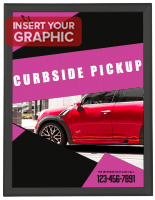 Buy in bulk for setting up an ad campaign or promotional display today.